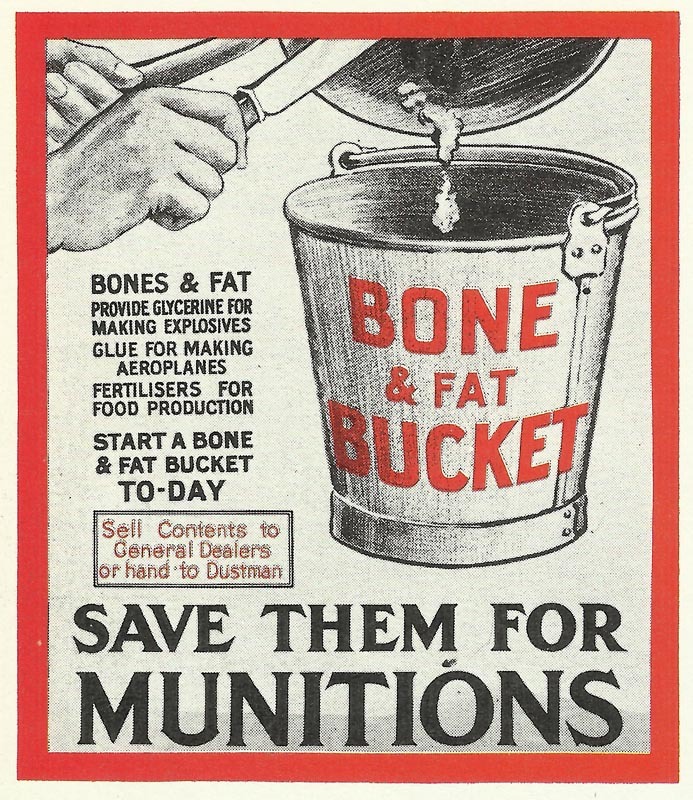 British poster appealing to save bones and fat for munitions. Battle of the Somme: British 62nd Brigade relieved at Mametz Wood (night July 15-16). Since July 12, heavy German guns have inflicted 950 casualties. Baltic Provinces: Slight Siberian (Russian Twelfth Army) advance southeast of Riga peters out against Below’s Eighth Army (until July 21). Arab Revolt: Egyptian 4-gun mountain battery shells Taif, a Turk stronghold.